Matsyapuri P. O., Cochin-682 029.
ii) Head of the organization: DIRECTOR, ICAR –CIFT. Vision: To facilitate sustainable harvesting and total utilization of fishery resources through innovations in harvest and postharvest technologies. Mission: Ensure responsible harvesting of fishery resources through eco-friendly, energy efficient and economical means;ensure total utilization of the harvested fish through appropriate processing, value addition, packaging and waste utilization; ensure food safety and nutritional security to the consumer and minimize carbon and water foot print per unit volume; and to ensure equitable benefits to the stakeholders, across the value chain. The ICAR-Central Institute of Fisheries Technology (CIFT) set up in 1957 is the only national center in the country where research in all disciplines relating to fishing and fish processing is undertaken. The institute started functioning at Cochin in 1957. Research centers function at Veraval (Gujarat), Visakhapatnam (AP) and Mumbai (Maharashtra). Basic and strategic research in fishing and processing. Development of implements and machinery for fishing and fish processing. Human resource Development through training, education and extension. The Director with whom all the administrative and financial powers of the institute are vested heads the institute. A Senior Administrative Officer and Asst. Administrative Officers assist him in matters relating to general administration. One Finance & Accounts Officer and one Assistant Finance and Accounts Officers look after the financial and accounting aspects and also the internal audit of the institute. A technical officer attends to the technical matters including those connected with research projects handled by the institute. Quality Assurance & Management Division. Extension, Information & Statistics Division. The ICAR-Central Institute of Fisheries Technology (named at the time of inception as Central Fisheries Technology Research Station) was set-up following the recommendation of a high power committee constituted by the Ministry of Food and Agriculture, Government of India. It started functioning at Kochi on 29th April, 1957 under the Department of Agriculture of the then Ministry of Food and Agriculture with a small nucleus of staff for research work in fishing craft and gear. Other Divisions soon followed. The administrative control of the Institute was brought under the Indian Council of Agricultural Research on 1 October, 1967. Powers and duties of officers (administrative, financial and judicial): CIFT is a unit of Indian Council of Agricultural Research (ICAR). Director of the Institute exercises the powers as delegated by the Governing Body of ICAR and by Govt. of India for Heads of Departments. Power and duties of other employees: As per the Delegation of Powers approved by the ICAR, New Delhi and as re-delegated by the Director. Rules/ orders under which powers and duty are derived and Exercised: As per the orders of GOI and ICAR. Work allocation: As per the Organization and Management Rules prescribed by ICAR. Related provisions, acts, rules etc. : As per the rules and guidelines issued by the GOI and approved by the ICAR. Time limit for taking decisions, if any: As expeditiously as possible. Channel of supervision and accountability: As per the flowchart displayed. Nature of functions/ services offered: Research. Norms/ standards for functions/ service delivery: As per ISO/IEC 17025 NABL & ISO 9001:2008 standards. Process by which these services can be accessed: Through Online or can forward the requests to the Director, ICAR-CIFT by hand or by post. Time-limit for achieving the targets: Since the mandate is Research, no specific time-limit can be given. Process of redress of grievances: Grievance Committee has been constituted at the Institute level for addressing grievances of the Staff of ICAR-CIFT. Title and nature of the record/ manual /instruction: The various Sections of the CIFT have the files, documents /records relating to their Sections along with the references and the correspondence. Instructions, guidelines etc. issued by the Department of Personnel & Training, Ministry of Finance etc. from time to time. iii. Acts/ Rules manuals etc. : As detailed at Sl. No. 1.5(ii) above. iv. Transfer policy and transfer orders: As per ICAR Guidelines. Categories of documents: ‘B’ & ‘C’ Category of Records are held at this Institute as per GOI guidelines. 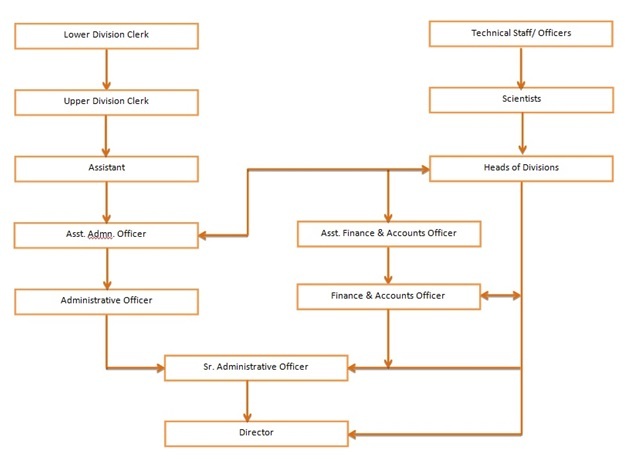 Custodian of documents/categories: Heads of Divisions/Sections. Name of Boards, Council, Committee etc. : The QRT, RAC, IMC, Grievance Cell, IJSC and PMC are the committees which help the Institute in guiding and implementing its various activities. Chairman: Dr. S. D. Tripathi, Former Director, ICAR-CIFE, Mumbai. Member Secretary: Dr. Leela Edwin, Principal Scientist & HOD, FT Dvn., ICAR-CIFT. Sh. P. P. Surendran, Deputy General Manager, Matsyabhavan, Kerala State Co-operative Federation for Fisheries Development Ltd.
Dr. Rani Palaniswami, Officer-in-charge, Research Centre of CIFRI, Cochin. Dr. Alavandi S. V., HOD, CIBA, Chennai. Dr. S. Kalavathi, Principal Scientist, CPCRI, Kayamkulam. Dr. K. V. Rajendran, HOD, CIFE, Mumbai. Assistant Director General (M. Fy. ), ICAR, New Delhi - 12. AF & AO, ICAR-CPCRI, Kasargod. Dr. Suseela Mathew, Principal Scientist & HOD, B&N Dvn., ICAR-CIFT. Sh. P. Raghavan, SSS, ICAR-CIFT. Secretary (Staff Side): Sh. P. S. Nobi, Tech. Officer, ICAR-CIFT. Chairman: Dr. C. N. Ravishankar, Director, CIFT, Cochin. Members: Heads of Divisions of CIFT, Cochin. iii) Dates from which constituted: As indicated above. iv) Term/ Tenure: As per ICAR Bye Law/Guidelines. v) Powers and functions: As per ICAR Bye Law/ICAR Orders. viii) Place where the minutes if open to the public are available? : Institute website. List of employees with Gross monthly remuneration: Link to be provided as per the list enclosed. System of compensation as provided in its regulations : As per GOI/ICAR Guidelines. Dr. Ravishankar C . N.
Pending for Minor penalty or major penalty proceedings: 01(Inquiry just completed). 1.13 Transfer policy and transfer orders[F No. 1/6/2011- IR dt. 15.4.2013]: As per ICAR Guidelines. Proposed expenditures: 100% utilisation of the budget. Revised budget for each agency, if any: At present, not available. 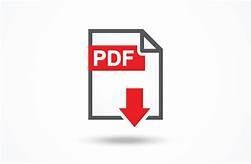 Report on disbursements made and place where the related reports are available: Audit & Accounts Section, ICAR-CIFT. a) Places visited: Different places in India as per requirement. b) The period of visit: As per requirement. c) The number of members in the official delegation: As per requirement. d) Expenditure on the visit: Approx. 40 lakhs. Objective of the programme: Not Applicable. Procedure to avail benefits: Not Applicable. Duration of the programme/ scheme: Not Applicable. Physical and financial targets of the programme: Not Applicable. Nature/ scale of subsidy /amount allotted: Not Applicable. Eligibility criteria for grant of subsidy: Not Applicable. Details of beneficiaries of subsidy programme (number, profile etc): Not Applicable. Annual accounts of all legal entities who are provided grants by public authorities: Not Applicable. Concessions, permits or authorizations granted by public authority: NIL. For each concession, permit or authorization granted: Not Applicable. a) Eligibility criteria: Not Applicable. b) Procedure for getting the concession/ grant and/ or permits of authorizations: Not Applicable. c) Name and address of the recipients given concessions/permits or authorisations: Not Applicable. d) Date of award of concessions /permits of authorizations: Not Applicable. CAG and PAC paras and the action taken reports (ATRs) after these have been laid on the table of both houses of the parliament: There are no CAG and PAC paras pertaining to this Institute. Published in the Institute website. Consultations are made with the General Stakeholders as per requirement. Public- private partnerships (PPP): At present, ICAR-CIFT is not involved in any Public-private partnerships. (i) Grievance redressal mechanism: Grievance Committee is constituted at the Institute level for addressing the grievances of the staff of the Institute. (ii) List of completed schemes/ projects/ Programmes: Link to Projects should be given. The requests can be forwarded to the Director, ICAR-CIFT by e-mail, by hand or by post. (i) Details of applications received and disposed:10 nos. of RTI applications received during the FY 2017-18, out of which 09 were accepted and 01 was rejected. (ii) Details of appeals received and orders issued:No appeals were received under RTI during the FY 2017-18. Details of questions asked and replies given:11 nos. of questions received since March, 2018and necessary replies have been issued.